I can't acces my HeroZero game in my account facebook.. I have level 60 HeroZero play from facebook.. But when i play from facebook, my game is start over from beginning on create a new character..?? -Second is to find "Server Selection"
I have the same problem. I log into my account via FB, and it brings me to the Create Hero page. When I type my email address it says I do not have that account. Even here in the forums I had to create a new member account to log into the forums. When I am sure I had registered before. Regarding the Server Selection. I did that already. Nothing happens. I use to be able to load from FB. Please fix this. I am level 139 already. I just hope I can get it back soon.. It sounds like the problem is that you've got the server you've selected, mixed up somehow and therefore can't find your old account. 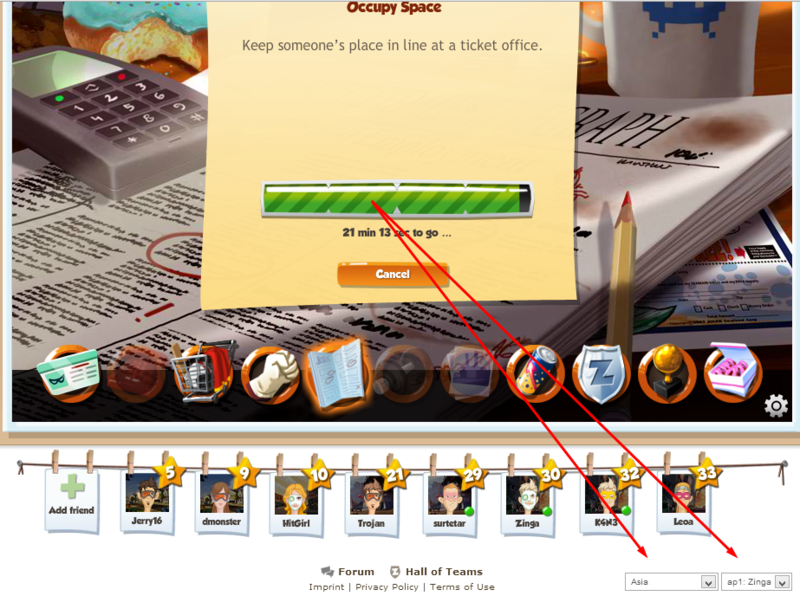 If you cannot find it on any of them, you can open a ticket with game support (click here). I already have opened a ticket on this. Can you explain how I could have selected the wrong server? When all I have been doing was click on FB game link and have been playing for 65 or more days already then this happened. Or are you just saying that the Server got mixed up and lost my account? May I ask if there was any maintenance on the server done before December 17 that could probably caused this issue? Because it seems to me that my account doesn't seem to exist in the server. Even here in the forums, I had to register a new one just to get in. When I distinctly remember that I had already registered here before. Here are some of my game history. 1. I have been playing for over 65 days. 3. I am level 135.
but inofficially I could guess that maybe the server has just gotten mixed up, through no fault of yours. However, in the case of another forum-account of yours, this I cannot find at all. Are you sure you've registered here on AP before, too, or perhaps at another market entirely?